Toshiba’s new Camileo BW10 Waterproof Camcorder can be used in up to 2m of water, removing the restrictions of filming in and around water. Weighing only 114 grams the neat little camcorder is perfect for travel, water sports filming, holidays and adventures everywhere. It shoots video in 1920 x 1080p on MP4 format and has a 5 mega pixel camera and is available in three colours. The Camileo BW10 uses SD cards for storage and can accept cards up to 64GB in capacity which will provide upto 7 hours of full HD movie content. Its 2″ LCD screen allows for instant playback and feature navigation and the intergrated HDMI connector allows connection and playback on HD TV’s with ease. 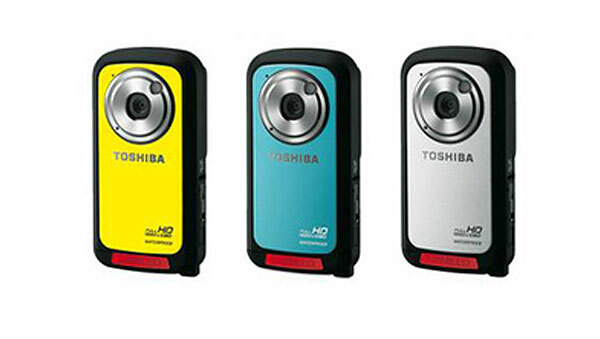 The Toshiba Camileo BW10 Waterproof Camcorder will be available for £129.99 about $186 from the end of June.